The Home Secretary will move into 10 Downing Street after Mr Cameron completes his final Prime Minister's Questions on Wednesday afternoon before visiting the Queen to formally hand over to Mrs May. The news comes after Andrea Leadsom had earlier dramatically pulled out of the race to be the next Tory leader, leaving Mrs May as the sole remaining candidate. Speaking outside Downing Street this afternoon, Mr Cameron said: "I think Andrea Leadsom has made absolutely the right decision to stand aside and it's clear Theresa May has the overwhelming support of the Conservative parliamentary party. "I'm also delighted that Theresa May will be the next prime minister. She is strong, she is competent, she is more than able to provide the leadership our country is going to need in the years ahead and she will have my full support. "Obviously with these changes we now don't need a prolonged period of transition and so tomorrow I will chair my last Cabinet meeting, on Wednesday I will attend the House of Commons for Prime Minister's Questions and then after that I expect to go to the Palace and offer my resignation. "So we will have a new prime minister in that building behind me by Wednesday evening." David Cameron said he will resign on Wednesday afternoon. Mrs Leadsom had announced she is withdrawing from the contest to become Tory leader and Britain's next prime minister after concluding she did not carry enough support from Conservative MPs. Describing a "bright future" for Britain outside of the EU following last month's Brexit vote, the energy minister said: "We now need a new prime minister in place as soon as possible, committed to fulfilling [the Conservative] manifesto as well as implementing the clear instructions from the referendum. "Theresa May carries over 60 per cent of support in the parliamentary party. "She is ideally placed to implement Brexit on the best possible terms for the British people and she has promised that she will do so. "For me personally to have won the support of 84 of my colleagues last Thursday was a great expression of confidence for which I am incredibly grateful. "Nevertheless, this is less than 25 per cent of the parliamentary party and after careful consideration I do not believe this is sufficient support to lead a strong and stable government should I win the leadership election. She added: "I have however concluded that the interests of our country are best served by the immediate appointment of a strong and well-supported prime minister. "I am therefore withdrawing from the leadership election and I wish Theresa May the very greatest success, I assure her of my full support." Following the announcement, Mrs Leadsom's supporters hit out at the "brutal assault" on her and an "operation to demean" their candidate. Ex-Tory leader Iain Duncan Smith said: "I think there has been a genuine operation to demean Andrea in a way which I have to say I feel somewhat appalled by. "But notwithstanding that I think her decision has been around what she feels is best for the country." Former Cabinet minister Owen Paterson added Mrs Leadsom had "under the most brutal assault, which was miserable for her". Tory MP Graham Brady, the chair of the influential backbench 1922 Committee who run leadership election contests, later confirmed Mrs May as the only remaining candidate. 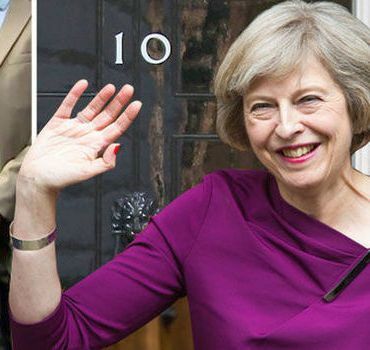 Mr Brady did not give any further detail on the timing of Mrs May's formal appointment but said he could be "very clear" that the new prime minister would be in place much earlier than the original timescale of nine weeks. He said: "Following the decision of Mrs Leadsom to withdraw from the Conservative leadership contest Theresa May is the only remaining candidate. "The process is now that I, as the chairman of the 1922 Committee, and the board of the Conservative Party must formally confirm Mrs May is the new leader of the Conservative Party." Justice Secretary Michael Gove, a failed leadership candidate, had immediately dismissed the suggestions he could re-enter the race to ensure Mrs May faced a ballot of Conservative Party members. He said: "Andrea Leadsom spoke with great dignity and courage today. I wish her every success in the future. "We should now move as quickly as possible to ensure Theresa May can take over as leader. She has my full support as our next prime minister." Speaking outside Parliament, Mrs May's campaign chair Chris Grayling, Leader of the House of Commons, said Mrs May was "enormously honoured to be entrusted with this task by so many of her parliamentary colleagues". The prime minister-in-waiting will make her own statement on her return to London from Birmingham, where she had set out her vision for her premiership less than two hours earlier. Surrounded by Mrs May's supporters, Mr Grayling said he wanted to pay a "warm tribute" to Mrs Leadsom. He said: "Her actions this morning have shown what a principled and decent politician she is and how willing she is to put the interests of the country before her own. "She is a true public servant." He went on: "As Andrea's statement made clear this morning, now is the time for us to unite as a party and to get on with the job of doing everything we can to secure a strong, prosperous and successful future for our country. "I know, we all know, Theresa will do all she can to equip our country for the challenges that lie ahead." Labour MP Jon Trickett, the party's election co-ordinator, announced he had put the opposition on a "general election footing" and demanded a snap national vote. This is despite Labour having been plunged into crisis with leader Jeremy Corbyn now certain to face a leadership challenge from Angela Eagle. Liberal Democrat leader Tim Farron and Green MP Caroline Lucas echoed the call for Mrs May to soon go to the country seeking her own personal mandate from the national electorate. 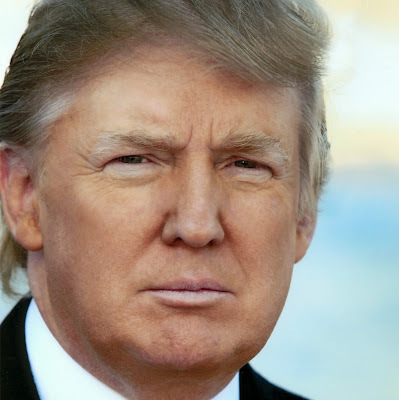 All we need now is for Donald Trump to be elected President of the USA in November. Our new PM had a meeting with Nicola Sturgeon,First Minister of the Scottish pro-independence party and declared that Britain would not trigger formal divorce talks with EU until a "UK approach" had been agreed. Does that mean the vote of the people to leave the EU is blocked? Hope this was not a `plan B` to trick them?